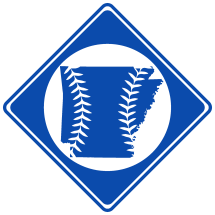 Carey Isom Selph, born December 5th, 1901 in Donaldson, AR1 was a professional baseball player from 1924-1934. He is the 2nd cousin thrice removed of Caleb Hardwick. Selph was a star football player at Arkadelphia High School and Ouachita Baptist College. He broke into professional baseball in 1924 with Dardanelle in the Western Arkansas League. He was signed by the St. Louis Cardinals in 1926 along with school teammate Walter Jacoway. Selph was inducted into the Arkansas Sports Hall of Fame in 1962, the Ouachita Baptist University Athletics Hall of Fame in 2004, and the Texas League Hall of Fame in 2007. 1. Selph's Texas Death Certificate. 2. 1910 U.S. Census and 1920 U.S. Census .